how do i determine how much foil i will need? There are two good methods for getting the measurements you need: measure the space or estimate based on square footage and slope. Measure. This is the best method if you can easily walk on the roof and measure the different slope or surfaces of the roof. Just multiple the Length x Width for each roof slope, add them up and order the amount of foil needed. Don’t forget to include walls too, if they catch sunlight. The length x height of each wall will yield the square footage per wall. Estimate. If you can’t measure the roof, then the next best method is to estimate the roof surface area. The key to this method is to determine the “footprint” of the building. Once the footprint is determined, then you will multiply this number by a Pitch Factor between 1.2 – 1.5 depending on the pitch or steepness of the roof. For flat roofs, the square footage of the space is all you need. The way to calculate a rectangular area is by measuring the length and width of your area then multiplying those two numbers together to get the area in feet squared (ft2). Once you determine the footprint of the space, you will need to estimate the pitch (or slope) factor if you are adding foil to the roofline. Otherwise, if you are going to lay the foil over the insulation, then the footprint number is the quantity you will need. If your space is not a square or rectangular shape, you will need to measure each section. For example, if there a room with a diagonal wall running through it, you must use a more-complicated formula to determine the area’s square footage. Simple geometry can help you get the number you need, but if you’re having trouble, give us a call! Don’t overthink it and remember, you can always round up and have a little extra, or start with a smaller order and order more to finish the job. Now that you have the footprint, or square footage of the space, multiply the total roof square footage by the applicable pitch factor to complete your estimate for the amount of foil you will need to cover the roof slopes. The roof pitch or roof slope is usually shown as a ratio to 12 (i.e., 1:12, 4:12, 12:12, etc.). Usually a 4:12 roof pitch means that the roof rises 4 inches in every 12 inches measured horizontally across the width of the building from the side to the peak of the building. Multiply by 1.2 to 1.3: If your roof is under a 5/12 (i.e. easy to walk on and probably under 8′ at the highest point for the attic space). Multiply by 1.3 to 1.4: If your roof is a 6/12 thru 8/12 pitch (i.e. slightly difficult to walk up, if there is an attic space, it would typically have a ridge that is over 8″ high). 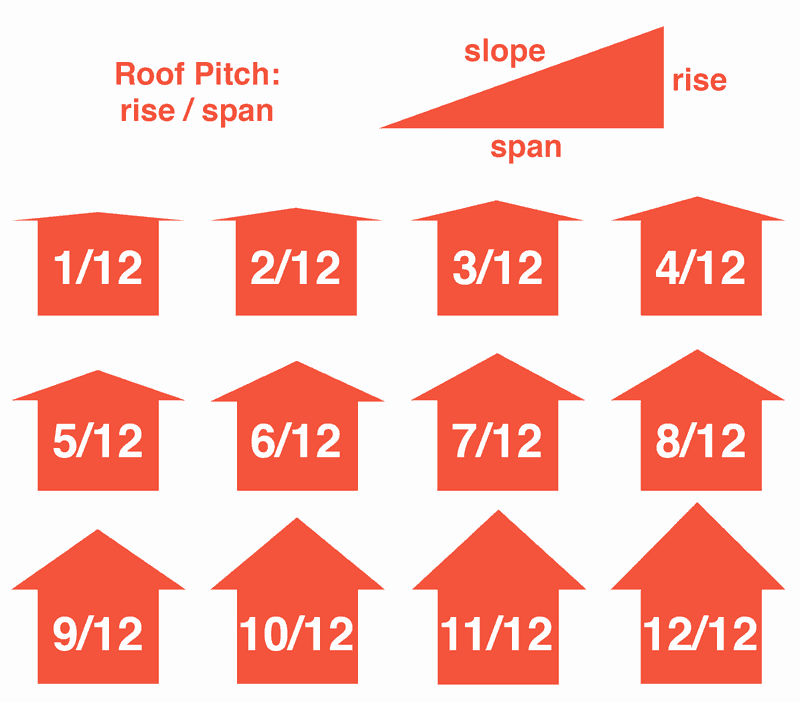 Multiply by 1.4 to 1.5: If your roof is a 10/12 pitch or higher (i.e. very difficult/impossible to walk up, this is often considered a very steep or church-style roof). Remember, using these guides for guesstimating is not an exact science. You can always order a single roll to finish up a job or you can easily sell a left-over or partial roll to a co-worker/neighbor, on Craigslist or donate it to Habitat for Humanity.